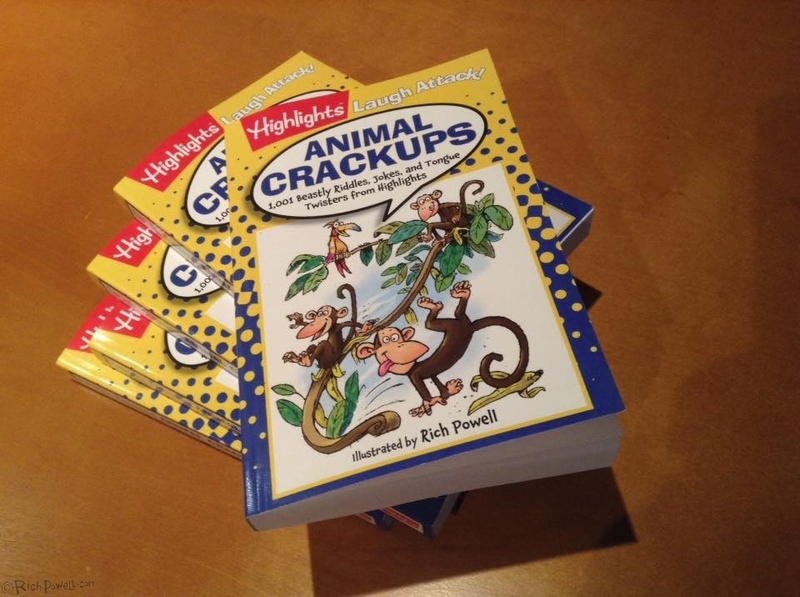 I’m very excited to announce the publication of Highlights’ Animal Crackups Joke Book. 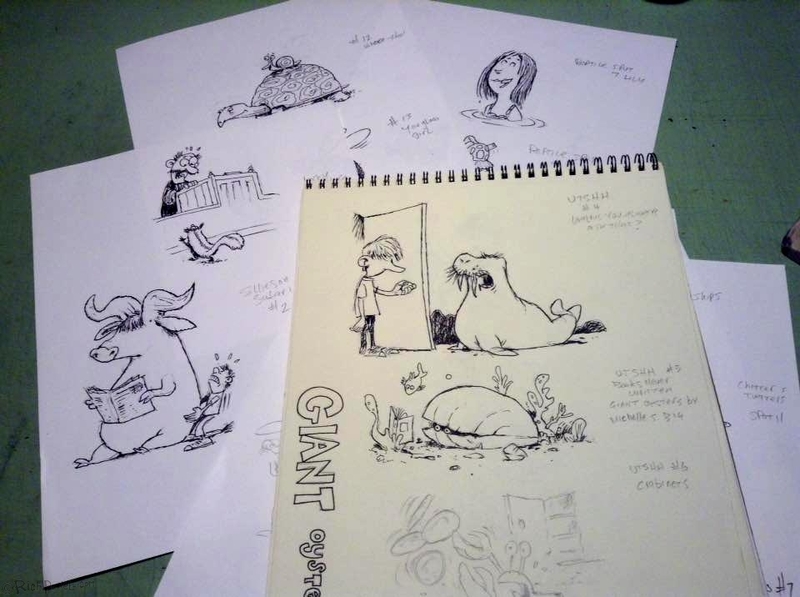 It’s been a long time in the works and was a whole bunch of fun to work on! 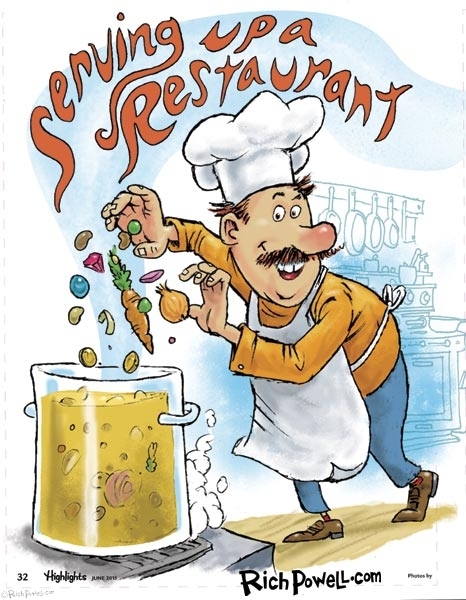 According to the Amazon description, it includes “125 wacky, laugh-inducing illustrations” by myself to accompany the jokes. The jokes are pretty darn funny too! 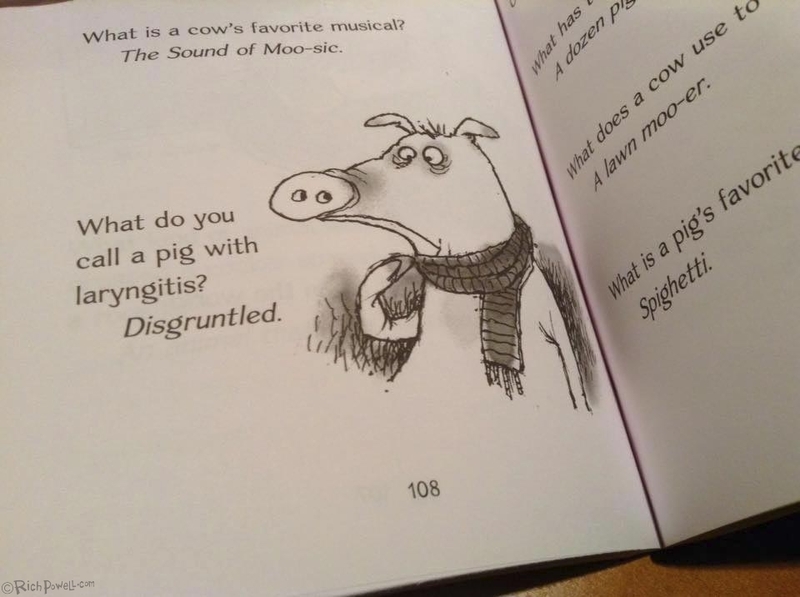 I highly recommend this one for the budding comedian in your life. Why did the dolphin cross the bay? Jordan: Do you have any dogs going cheap? What do ducks wear to fancy events? Tallulah: Turkey, what are you thankful for? I love a good joke and now I actually have some I can share with kids! I worked rather small and quickly, I wanted to keep the drawings looking spontaneous and fun. 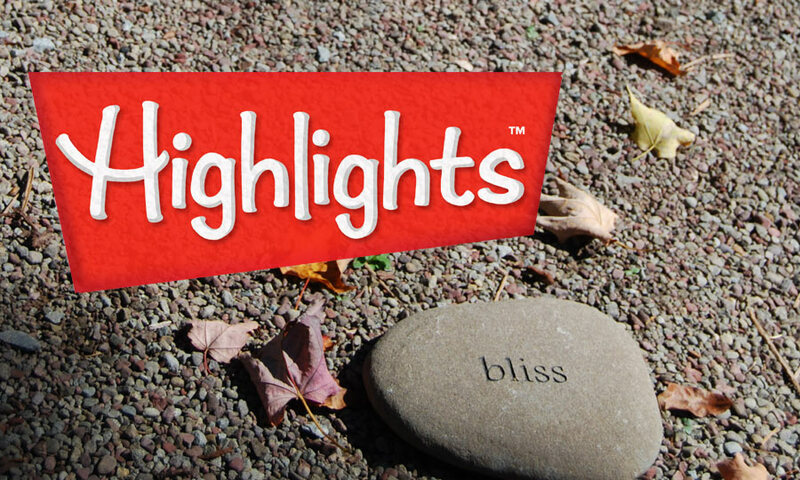 Highlights, as always was a joy to work with. So go out there and get a copy for that little Rodney Dangerfield or Carol Burnett you know! If you get it from Amazon, be sure to give it a rating and, if you’re really cool…a nice review!! 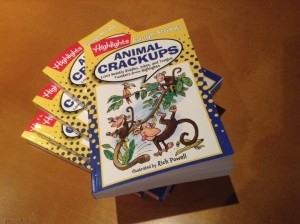 I ordered two copies today of the book for my grandchildren in NC and in CA. Very nice job Rich! Just ordered a copy for my little nephew’s birthday. Only 2 left in stock at Amazon. Aren’t these the same jokes you’ve been telling for years? Why wouldn’t the rooster cross the road?? He was chicken.